Listen to an audio interview. From the early days of radio through the rise of television after World War II to the present, music has been used more and more to sell goods and establish brand identities. And since the 1920s, songs originally written for commercials have become popular songs, and songs written for a popular audience have become irrevocably associated with specific brands and products. Today, musicians move flexibly between the music and advertising worlds, while the line between commercial messages and popular music has become increasingly blurred. Timothy D. Taylor tracks the use of music in American advertising for nearly a century, from variety shows like The Clicquot Club Eskimos to the rise of the jingle, the postwar upsurge in consumerism, and the more complete fusion of popular music and consumption in the 1980s and after. 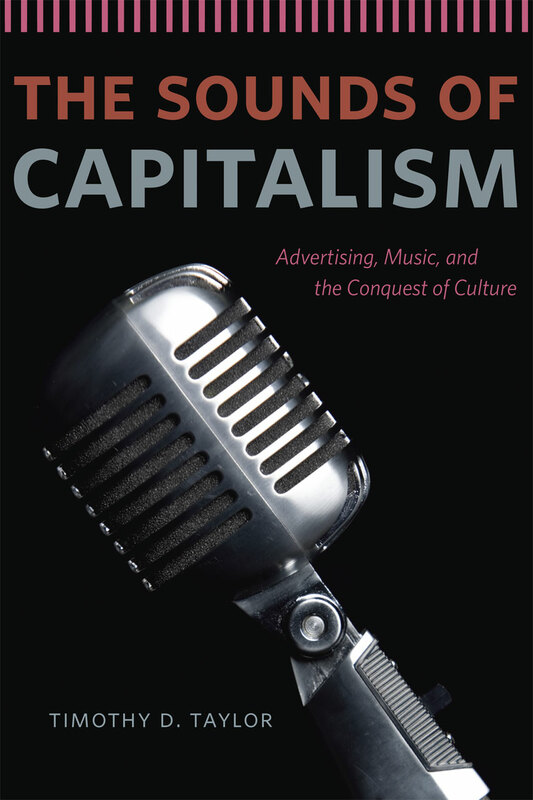 The Sounds of Capitalism is the first book to tell truly the history of music used in advertising in the United States and is an original contribution to this little-studied part of our cultural history. Steve Karmen | "King of the Jingle"
“Today, in a business where everyone knows everything, Timothy Taylor has written a scrupulously researched, thoroughly enjoyable history of the wild world of advertising music. The Sounds of Capitalism is the engrossing story of how the musical face of America’s economy has evolved through the generations; told in the words of those who were there. This is a landmark book." "Timothy D. Taylor’s unique contribution is his application of the historical approach to his subject, tracing, through extensive interviews and archival research, the evolution of music in American advertising from the early days of radio to the present. In doing so, he offers both a thorough and detail-rich history of this increasingly ubiquitous part of American life, and a broader meditation on the politics of sound in contemporary culture."